You may have noticed that Shaderlight 2018 includes a new transparent material feature, which delivers greatly enhanced realism when rendering transparent materials such as large bodies of water and thick, solid glass objects. The new physically-based model of light transmission is able to calculate the absorption of light as it travels through a body of transparent material, taking into account the amount of material that it passes through. The apparent transparency of an object now depends on the thickness of the object, with thicker objects absorbing more light. The amount of light transmitted by a material can be controlled for each of the three primary colours, thus allowing the material to tint the light that passes through, as some colours are absorbed more than others. In keeping with Shaderlight’s philosophy of making sophisticated renders easy to achieve without requiring arcane knowledge of rendering technology, a wide range of materials can be realised simply by adjusting the SketchUp material colour and opacity. 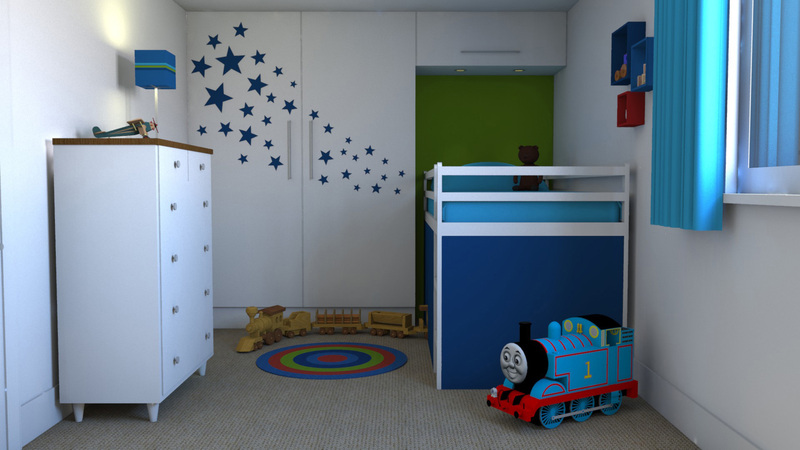 The SketchUp material colour is used to specify the transmittance for each primary colour, which is further modulated by the SketchUp opacity slider, providing both fine–grained and wide range control. This is a change from previous versions of Shaderlight, which ignored the SketchUp opacity slider when rendering Transparent materials. Low opacity values permit fine control for materials that absorb very little light, such as water and clear glass, while high opacity values allow high absorption rates for materials like heavily tinted glass. Do note, however, that a value of 0% opacity on the SketchUp slider will not generally result in a completely transparent object, and a value of 100% will not necessarily be completely opaque – Shaderlight’s physically-based model means that very thick objects may always be ‘opaque’ and very thin objects may never be opaque. The new transparent model is applied to the Transparent Solid Glass, Solid Frosted Glass, Liquid and Diamond material presets. The new model is not applicable to the Transparent Thin Glass material, as that represents objects with infinitesimal thickness and hence absorbs a fixed amount of light. We anticipate extending the new model to other material types in future releases. The scene below demonstrates the new material model with a pair of wedge-shaped glass blocks. The green block on the left has RGB colour values of (32, 154, 84) and an opacity setting of 73%. The blue block has a colour of (1, 13, 201) and an opacity of 21%. The darker green colour and its higher opacity setting make the left block much less transparent than the right one. Also, you can see that the narrow end of the green wedge is more transparent than the wide end, because the light is travelling through less material and has less chance to be absorbed. This effect is not as apparent on the blue block because its orientation means that complex reflections and refractions are interacting on the sloping face and obscuring the impact of absorption. The image posted by Shaderlight user Andrew Waddington at https://www.artvps.com/index.php/discuss/viewthread/3076/ illustrates how the new model affects water. The rocks just below the surface of the water are clearly visible, but as they get deeper in the water, they appear darker. The water material uses RGB values of 214, 216, 194 and an opacity of 30%. A subtle wave texture is used on the transparent->liquid material and a Bump setting of -1.5 gives the water a rippled surface. It has always been important to fully model transparent solids so that the volume is fully enclosed, otherwise rays that only pass through one transparent face will be overly refracted, because they never exit the transparent medium. The new model makes this even more important, because the distance-based absorption means that any rays that don’t exit the medium will continue to be attenuated, making objects behind the transparent surface very dark, or black. This doesn’t apply to the Thin Glass material, because that is used for surfaces with no thickness. The viewpoint is assumed to be located in air, so if you position the viewpoint within a transparent medium, the ‘inside’ and ‘outside’ will become flipped. Full saturation of any one or two of the colour channels (red, green or blue) is not recommended. This would represent ‘no absorption’ for the fully saturated colour(s) and is probably not physically plausible. Having one or two fully saturated colours can result in over-saturation of objects seen through the transparent material, as only that colour will be transmitted and all other colours will be absorbed, if the object is thick enough. Having all three colour channels fully saturated (i.e. white) won’t result in colouring anomalies, but also won’t result in any attenuation, so again is probably not physically plausible. The appearance of transparent objects created in previous versions of Shaderlight may change when rendered in Shaderlight 2018. Adjusting the opacity and/or colour should enable the old appearance to be approximated, but an exact match may not be possible, because the distance that light travels through an object is now taken into account. We do hope you’ve found this useful and we look forward to seeing how you’re using the new feature. Why not post your images in our forum or on our Facebook or Twitter pages. Here at Shaderlight HQ, we’re often asked for our recommendations when customers are choosing a new computer to use for rendering. It’s an extremely difficult question to answer as every SketchUp model is different, and while we can test Shaderlight on a range of hardware it may have different characteristics to yours. Taking this in to account we’ve put this post together to highlight some things you may like to consider when looking to spec your new rendering computer, or if you just want to reduce your render times. Any given render will require a certain amount of RAM and having more will not improve render times. Having less than that amount will dramatically increase render times as data is swapped on and off the hard drive. Unfortunately, it’s very difficult to predict the amount of RAM needed in advance. In our experience, 8GB is enough for most small-medium complexity scenes at resolutions below 1920×1080. 16GB is enough for more complex scenes at 1920×1080. As it’s difficult to know beforehand how much RAM you’ll need, it’s worth planning an upgrade path for your future needs. Try reducing the quality setting. If you’re rendering at the highest quality setting, try taking it down to 9. In our experience, rendering at level 10 will take longer and the difference in image quality may not be that significant for your final render. Review your lighting. Getting the correct lighting in your scene is vital to achieve the right look of your final render; however check that you’re not overusing artificial lights. Shaderlight user Andrew Waddington has written an excellent guide to best practices when lighting interior scenes which you may find useful. Reduce the amount of detail in your scene. Taking a fresh look at your model and optimising it for rendering can have a significant effect on render times. Try to avoid crinkly or curled surfaces where you don’t absolutely need them. Take a look at cloud rendering. Rendering using the Shaderlight Cloud service won’t make a single render any quicker if you machine is reasonably powerful, but you can render multiple jobs at the same time, and your computer is left free for other work. In the end, though, rendering can be very hard for the computer, and Shaderlight does not prevent you from making things as complicated and beautiful as you like. In Shaderlight 2016 the old skylight portal placement tool has been replaced by a new version that allows you to pick any pre-existing face as a template for the portal. This makes it possible to create portals of any shape that you can create using any of SketchUp’s built-in drawing tools, or indeed with many third-party extensions. To create a skylight portal, activate Shaderlight’s light tool and select ‘Skylight Portal’ from the pop-up menu. Then simply click on the face you wish to use as a template. The new portal will be created precisely on top of the clicked face. By default, the portal will face the same direction as the face you select. It is important that portals face in the direction that sun- and skylight will be travelling in – that is, the front face should be on the ‘inside’ of the enclosed space. The placement tool draws an arrow to indicate the direction of light flow and should point from the outside to the inside when you place the portal. The face under the cursor is also highlighted with a different shade of blue depending on the direction the portal will face – the ‘inside’ is a bright blue and the ‘outside’ is a dull blue. If you hold down the shift key while placing the portal, the direction of the portal will be reversed. This is helpful if the template face doesn’t already point in the correct direction. You can also hold down the control (Windows) or option (OS X) key to erase the template face when creating the portal. Use this when selecting a temporary template face to specify the opening that the portal should cover but that doesn’t otherwise represent any geometry in your model. The standard behaviour is used when the template is a transparent or translucent object (such as a pane of glass) that should remain part of the model. Note that if the template face has an opaque material applied to it and you don’t erase it the portal will be ineffective, because the opaque face will still be blocking the light from passing through. 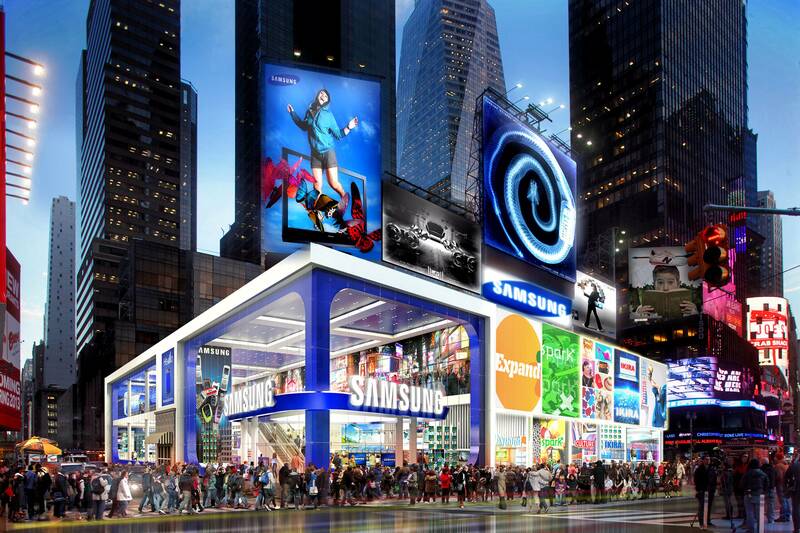 Ed Wonsek is a full time digital artist who specialises in retail marketing for exclusive New York City cliental. 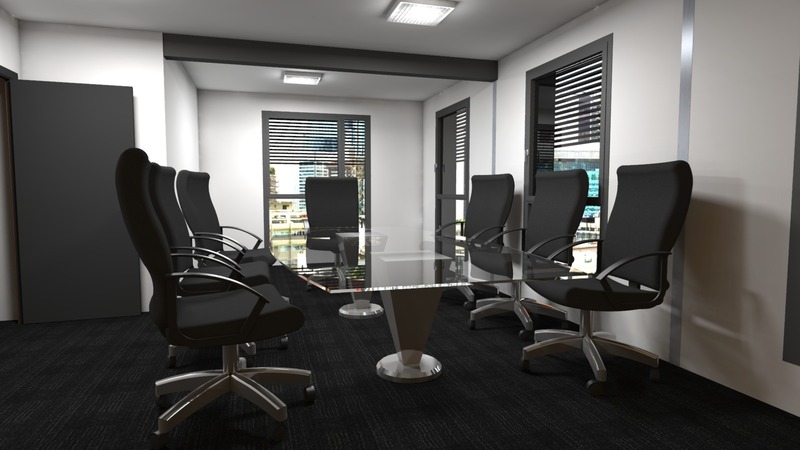 As an accomplished SketchUp user, it wasn’t until he started using Shaderlight that he finally saw a way he could integrate SketchUp into his workflow and still produce the quality of images his clients expect. 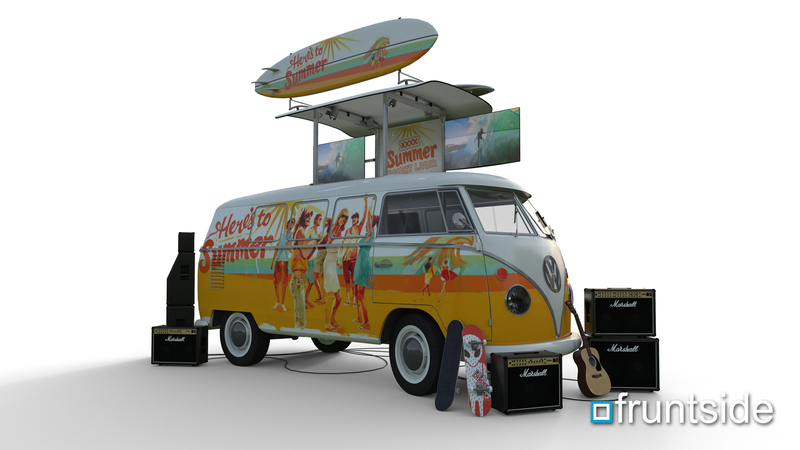 It absolutely blew me away….it was like the first day I discovered SketchUp. 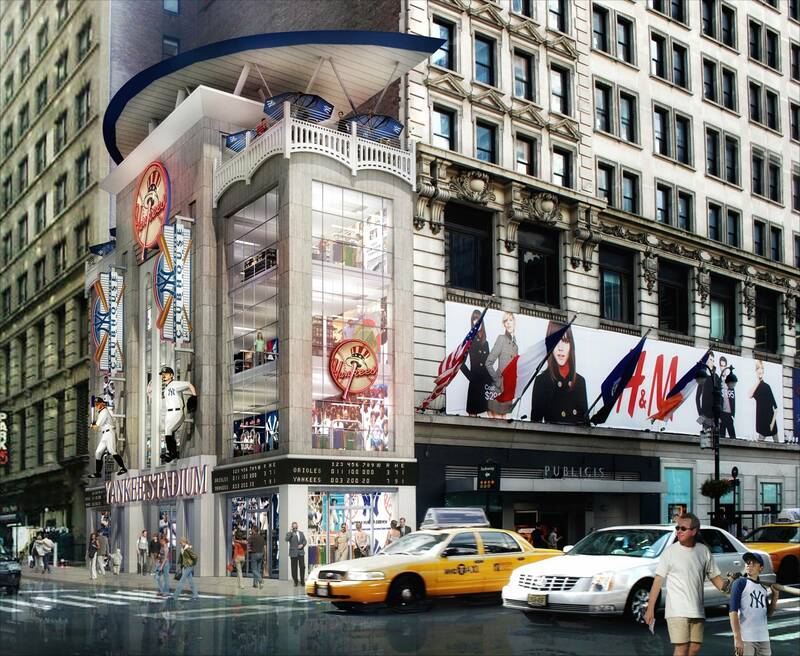 The first project that Ed completed with his SketchUp/Shaderlight workflow was the New York Yankees Clubhouse Store, a design which was inspired by the Yankees Stadium itself. 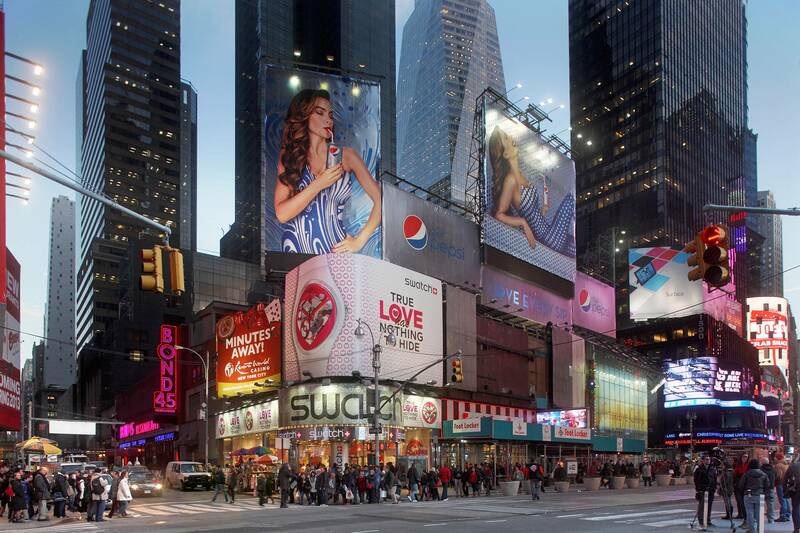 Since then he has produced hundreds of images for some of the most highly respected names in the New York commercial market however he often doesn’t have much to go on at the start of a project. The quality of Ed’s work speaks for itself however he’s been kind enough to share with us some of the detail behind the images he produces. 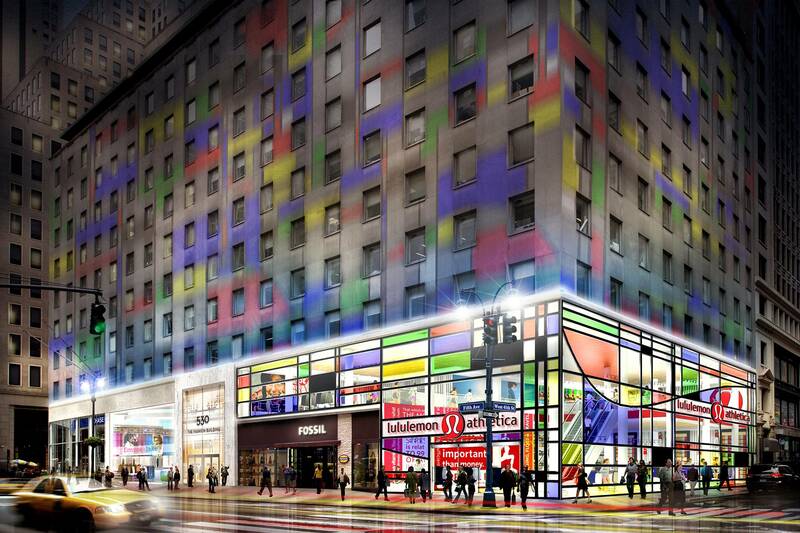 1530 Broadway Times Square NYC. 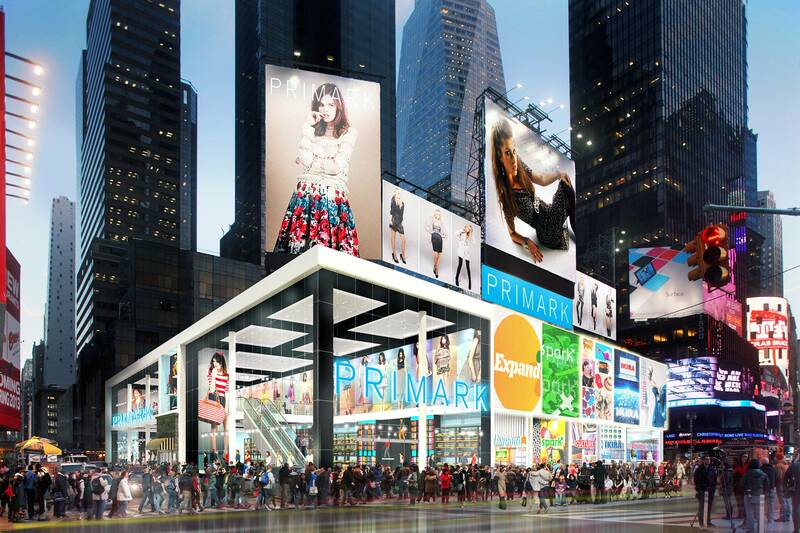 This is a current project under development in the heart of Times Square NYC. 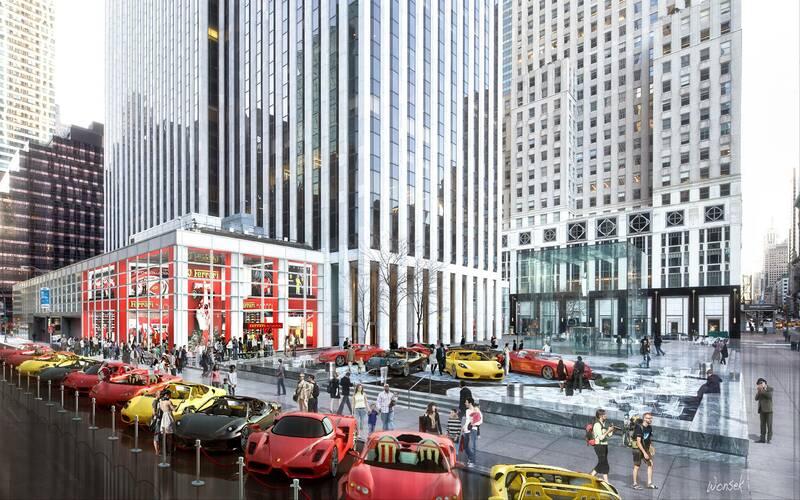 Since there is no building designed yet tenants are having a hard time signing on for the rent they are asking in Times Square, typically approaching $1,500/sf. At these prices, tenants won’t sign on until they understand what they are getting but owners are not willing to invest in design teams until they know who the tenants are. This work serves as the key to making the deal happen and Shaderlight has been been instrumental in expediting the process. This is an excellent example of the power of Shaderlight in my workflow. 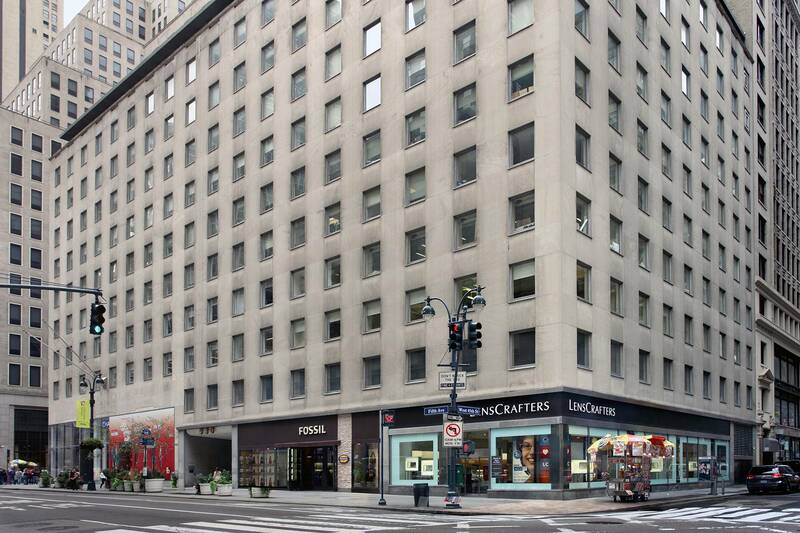 The brokers discovered at the last minute Ferrari was interested in leasing a retail space on 5th Ave but we only had until the end of the day to pitch an idea to them. 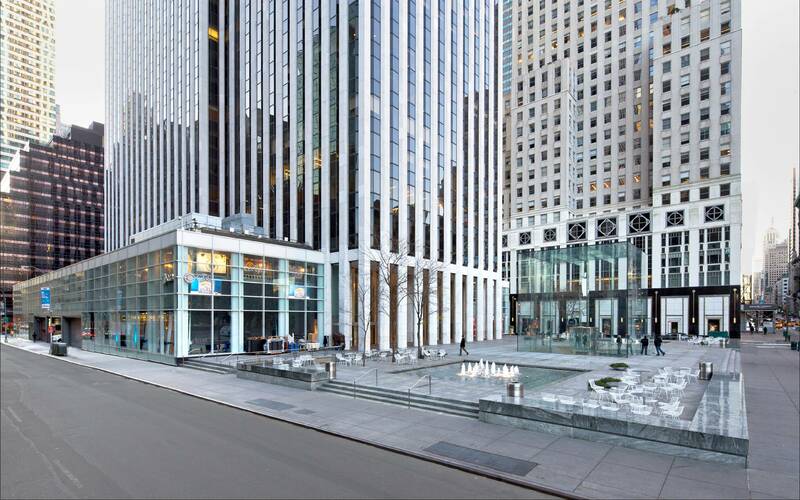 I realized the key to selling them on the GM Building space vs other opportunities on 5th was that remarkable plaza in front adjacent to the famous Apple cube store. I built the interior model in a few hours and then spent about 20 minutes downloading every exotic Ferrari I could find on 3D Warehouse. The ease of use and power of the Shaderlight lighting and material engine was critical in making those exotic cars the hero of the image. 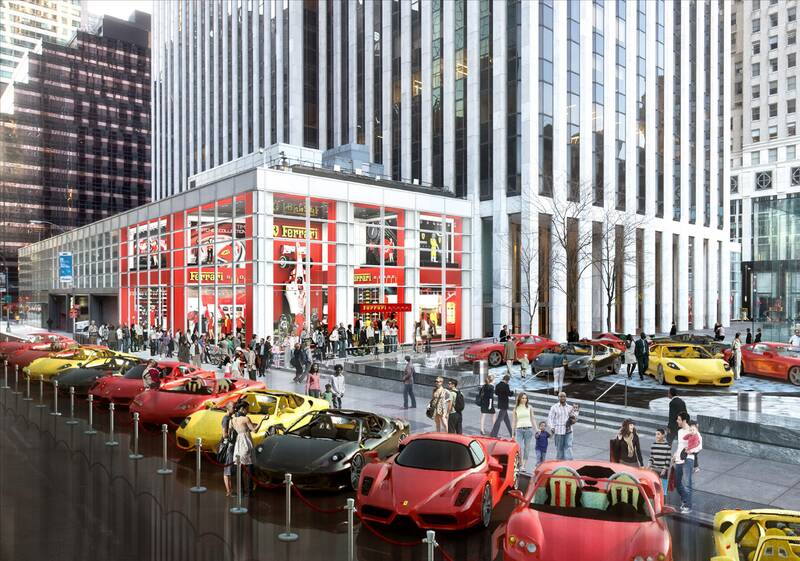 By arranging them in the plaza and along 59th Street, in a matter of hours we had a powerful image showcasing the unique value this property represented to the Ferrari brand. Plus it was great fun! Lululemon is a great brand to work with because each store is designed differently and are very creative. A tiny boutique store currently uses a Mondrian tile pattern on the exterior so I played off that for this larger scale store which the owner requested be “transparent and bold”. Shaderlight once again allowed me to quickly create a convincing interior that would have been impossible with matt painting. Shaderlight has become the cornerstone of my process at this point. Plenty has been documented regarding it’s capabilities, but what I value most is that it allows me to experiment while simultaneously making my work appear as though it has been produced by an entire team of specialist. Exactly the qualities my clients expect from me. Visit www.edwonsekartworks.com for more information about Ed and his work. Shaderlight Cloud Rendering is the first and only SketchUp rendering plug-in to harness the power of Cloud computing. More and more Shaderlight customers are turning to the cloud when rendering high resolution images and animations. Not only does it free up their desktop by rendering on high-powered 64-core machines from Limitless Computing but delivers a fast and cost effective alternative to rendering locally. If you’ve not used Shaderlight Cloud rendering before, here’s a step by step guide to your first render or animation. 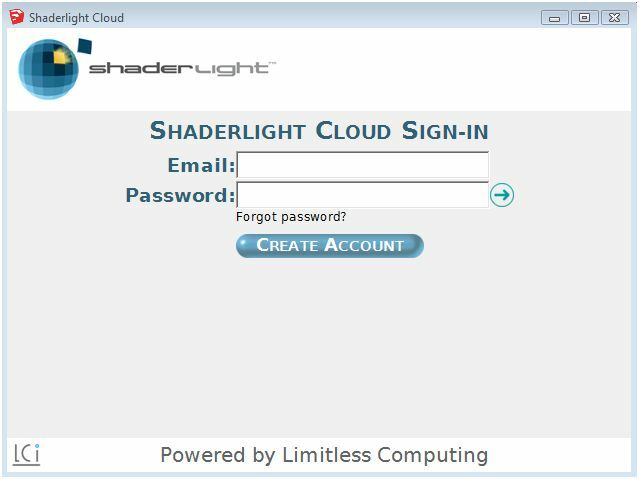 To access the Cloud plugin click the ‘Cloud’ icon on the Shaderlight toolbar. You then need to create an account to register for Cloud rendering. You can change your registered details under ‘My Profile’. The email address you provide will be used to notify you that a render has finished, so please make sure this is filled in correctly. Under your Profile you can also add users to your account so you can share your Cloud credits with others who would like to use Cloud Rendering. The ‘Billing’ section allows you to add more Cloud Credits and to store your card details for future Credit purchases. 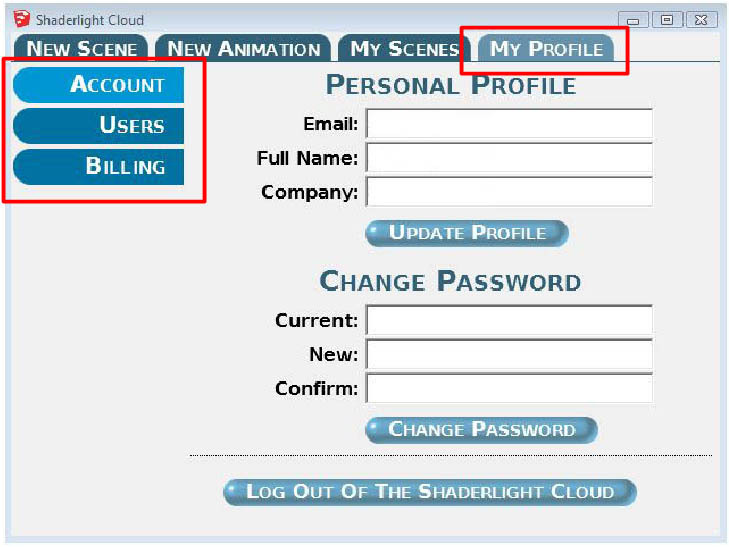 Pricing for cloud rendering is based on a credit system. When you sign up you will receive one free credit to get you started. So what will 1 Cloud Credit get you? Take a look at the online calculator to work out how many credits you need for your project. You can also log into the Limitless Computing website to view the progress of your Renders and download them to your machine. This can also be done in the ‘My Scenes’ tab, which is mentioned below. 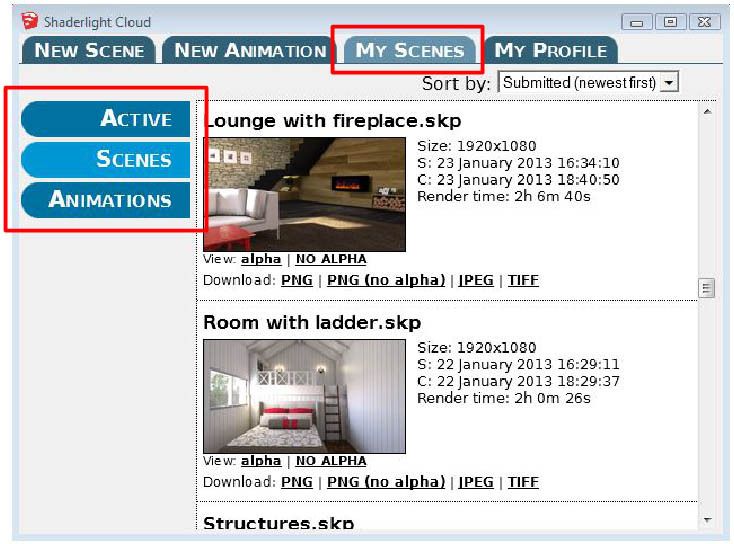 To send a scene to the Cloud you need to click on the ‘New Scene’ tab. 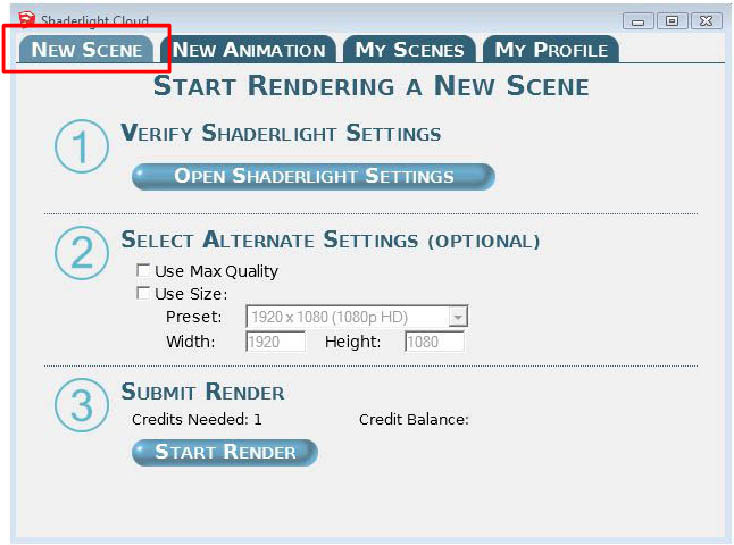 Here you have the options to verify or change the Shaderlight settings for the scene. Shaderlight Cloud will use the scene you have open and set up in SketchUp, so make sure you are on the correct scene in your model. You can then select any alternate settings for the scene. It is advisable to check the ‘Use Max Quality’ button as you want to have the highest quality render possible. Then you can also select the render size either from the preset list or specify your own size. 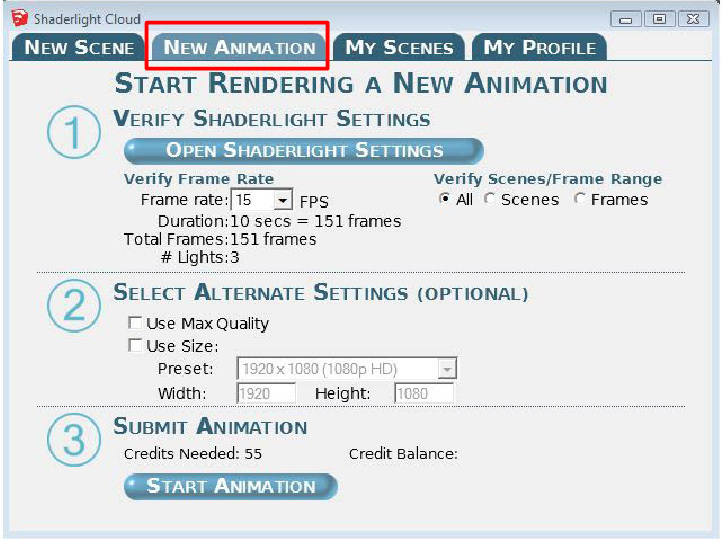 Once you are happy with the settings it will show you how many credits you need for the render. You can then click the ‘Start Render’ button to upload your scene to the Cloud. Under the ‘My Scenes’ tab you can see the progress of any live renders under the ‘Active’ heading. Once a render completes you will receive an email to let you know and you can then log into the Cloud and find your render under the ‘Scenes’ heading. This Render cost 1 Cloud Credit. It was rendered at size 1980 x 720 in High Quality and took 1 hour, 9 minutes and 5 seconds to render using Shaderlight Cloud. This Render also cost 1 Cloud Credit. It was rendered at 1980 x 720 in High Quality and took 2 Hours, 42 minutes and 30 seconds. Cloud Rendering on the go. 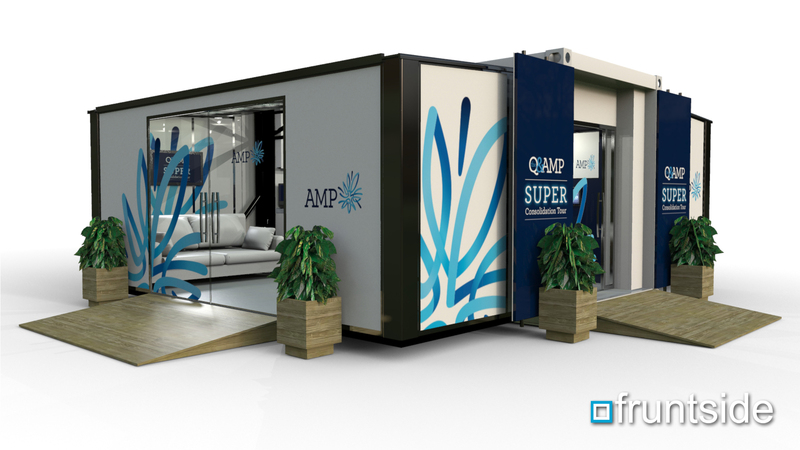 Users of desktop Cloud Rendering now have the power to view their renders anywhere using an Android or Apple mobile device thanks to the Cloud Viewer app developed by Limitless Computing. View SketchUp Renders (scenes and animations) associated with your Shaderlight Cloud account. Save files directly to your device. Check the status of on-going renders on the Cloud. Download your Shaderlight Cloud renders 24/7. When rendering an animation locally, you must set the location and filename of the frames to be rendered and the frame rate (which is the number of frames rendered for every second of your animation). The Browse button allows you to select a location and a filename for your rendered frames. It is best to set up new a folder for the rendered frames. The filename will become the prefix of the frames name. Each frame will then have a frame number after the prefix. For example if the filename is: Animation, the rendered frames will be Animation_000, Animation_0001…and so on. The frame rate sets how many frames are rendered for every second of your SketchUp animation. The more frames you render per second, the smoother the animation will appear when it is played back. But the more frames, the longer the animation will take to render. You will see Shaderlight displays the total number of frames to be rendered for the whole SketchUp animation, based on the chosen settings. You have the option to render part of the animation or the complete animation using the Scenes/Frame Range controls. When happy with the settings, you can click on the ‘Render’ button to start rendering your animation. You can also upload your animation to the Cloud…. The same process applies when you want to upload an animation to the Cloud. Firstly you need to verify the Shaderlight settings. You can change the frame rate which will determine the speed of the animation. As you change the Frame rate, you will see it gives you a break down of how long the Animation will be and how many frames it will render. 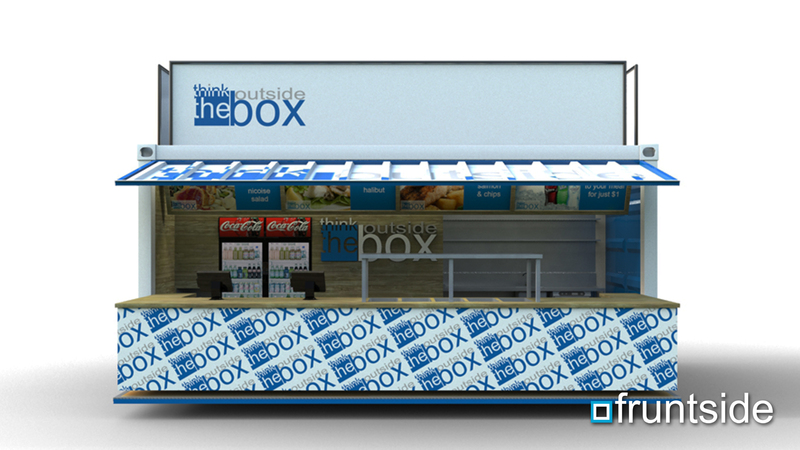 Then as with a scene you can check the Max Quality box and specify the animation render size. When you are happy with the settings you can upload the model by clicking ‘Start Animation’. When your animation has finished rendering on the Cloud, you will receive an email and you will be able to download the frames or the finished animation in a compressed video format. If you need any help getting started with Shaderlight Cloud rendering, then please contact support@artvps.com with any questions.